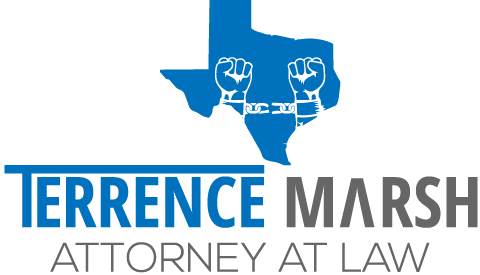 What is a Criminal Confession in Texas? No Comments on What is a Criminal Confession in Texas? In Texas, as in other states, a criminal confession is a formal acknowledgment of guilt during a criminal investigation. This all goes back to your 5th Amendment Right to Remain Silent. When someone is suspected of committing a crime, police will begin their investigation. The investigation may start with police making direct contact with the person accused. Before, during, or after that first contact, police gather evidence to build their case against the person accused. If the person accused makes any statements to the police, they may be considered admissions instead of confessions. Under Texas law, confessions must be recorded by video/audio or in writing and signed by the person making the confession. What’s the difference between an Admission and a Confession? To put it simply, not all admissions are confessions. For example, a person can admit to being at the scene of a crime to police but not admit to being responsible for committing the crime. To be considered a confession in Texas, certain things have to happen. First, police must take the person into custody. This means that freedom of movement is restricted. This means that you are not free to leave. Freedom of movement can be restricted in many ways other than simply using handcuffs. For example, a person can be considered detained if they are put in a police car, brought down to the station, and forced to sit in a room. Overall, it must FEEL as though you are under arrest. (If quacks like a duck). Most of the time, police interactions begin with a traffic stop. In a regular traffic stop, the person is detained and not under arrest. This is because the police officer has reasonable suspicion to believe a crime was being committed. Even a traffic stop for DWI begins as a detention. Second, after being taken into custody, police must then intend to interrogate the person. Police are interrogating a person when their questions they ask are designed to get incriminating responses. The big issue with interrogations and confessions in Texas is that they must be on your own free will and voluntary. You have a Constitutional right not to remain silent. This includes making statements to police which incriminate yourself. After you’re considered in custody and the interrogation has begun, If the police intentionally fail to give you your Miranda Warnings, your statements can be inadmissible in Court. Criminal confessions are valuable in Court because it makes the prosecutor’s job a slam dunk. Good confessions are made voluntarily, on video/audio recording, and free from excessive pressure or coercion! A good confession, if legally made, will be very hard or almost impossible to fight against in Court. This is one way How Bad Evidence Stays Out of Court. The reason by this is that the law doesn’t want to encourage or reward police misconduct. Evidence that is illegally gotten by police shouldn’t be used against you. The police need to follow the law too. In a previous post, When is an “Arrest” not an Arrest?, I wrote about the different types of interactions police can have with citizens. One of this was a “mere encounter.” The idea behind a mere encounter is that police approach someone to talk to them, and that person is free to answer the questions from police, or walk away as they please. Basically, there is nothing making the person talk to the police. It is voluntary on the person’s part whether or not to answer the officer’s questions. Legally, you don’t have to talk to police, other than identify yourself when requested. Most people think that they’re forced to talk to police if they approach. This is not the case. Be respectful, be courteous, and don’t answer questions which will put you in the hot seat.